A green solution for your office and restaurant, this low-profile Continental 1358-2 13.6 qt. 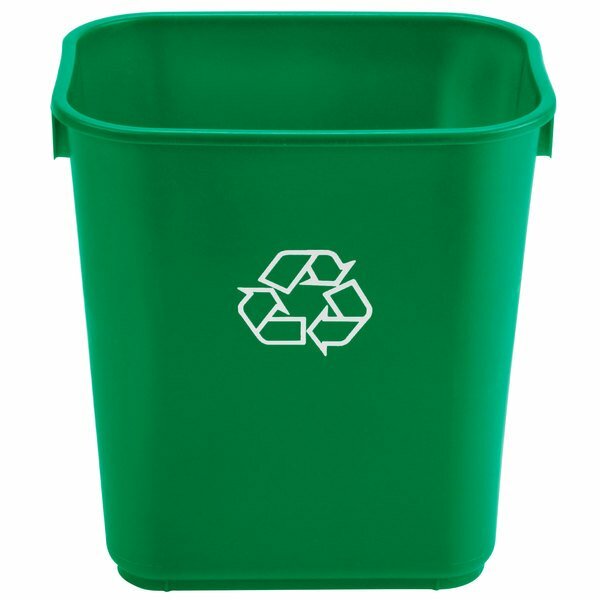 green rectangular recycling wastebasket comes complete with a molded in recycle logo to designate it for recycling use only. 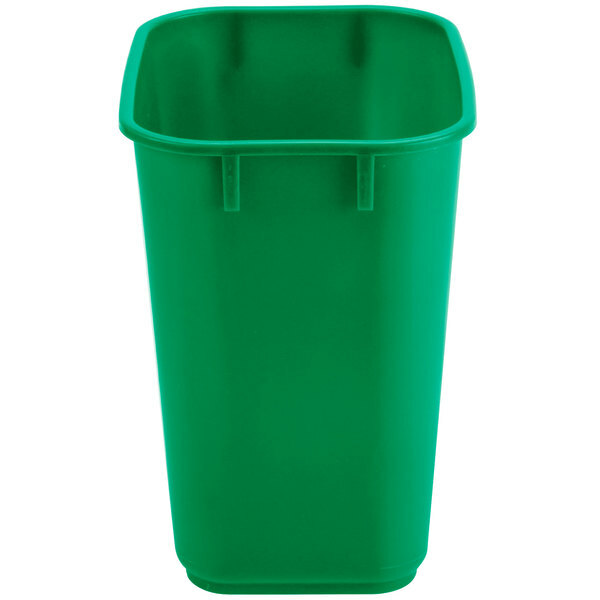 The attractive design of this wastebasket is complemented by the bold green coloring and versatile 13.6 qt. size, making it a great addition to your host/hostess station or for use behind the counter at your small convenience store. 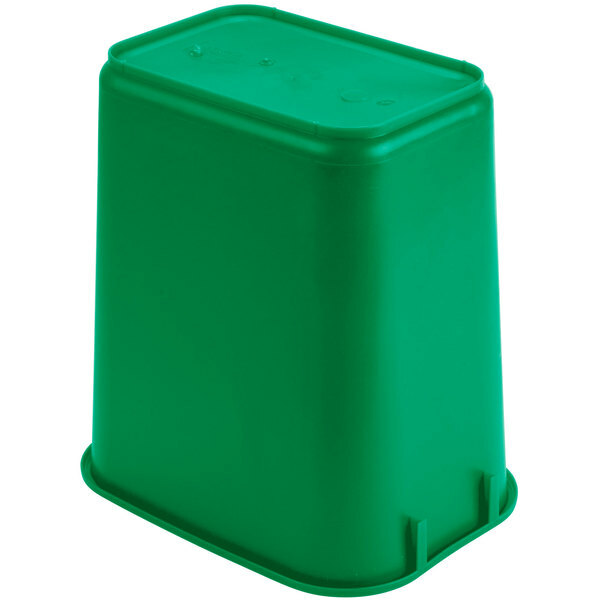 This wastebasket is made of extremely durable plastic that ensures long-lasting use. A lip at the upper rim provides a good grip for carrying. It can accommodate a variety of can liners (sold separately), making it easy to keep the wastebasket clean and take out the recyclable materials when it fills up. Unger PPPP0 Paper Picker Trash Stick 42"
It is so handy to have this attractive recyclable paper bin in the house. I get so many magazines and catalogues in the mail that keeping this just inside my foyer makes sorting through the mail all that much easier. 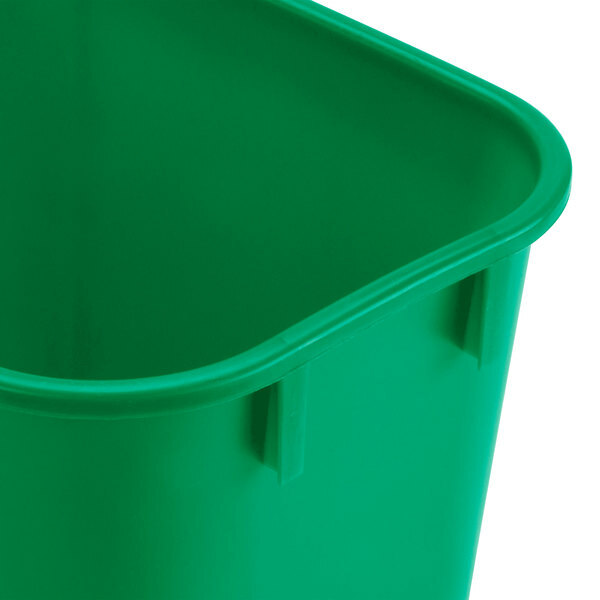 This green wastebasket makes sorting recycling items easy. Its small size allows it to be stored almost anywhere. Nice quality can and a great price too! 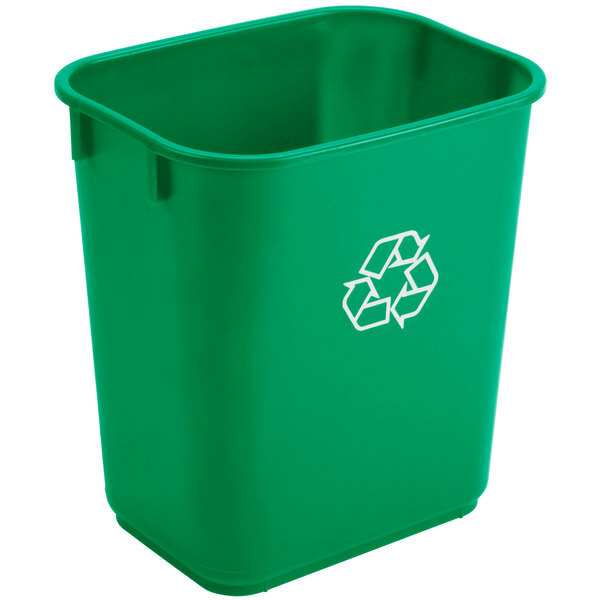 These small recycling wastebaskets are perfect for placing under your desk or in a hotel or motel room. Small size doesn't hold much so you'll have to empty regularly. We wanted a small trashcan for use under our counter. This one is priced very nice and its the perfect size for a tshirt bag as well. Its very good quality too, thick enough to be heavy duty and not light or cheap that would break easy. This is quite useful around the household kitchen, it makes it easier to dispose of cans or glass bottles. It's big enough for the household but too small for a business to run efficiently. It's made of a durable plastic and I can't imagine breaking it even when tossing in a can or bottle.